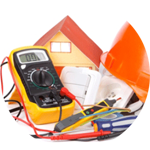 Looking for an Electrician in Merton? Great! You’re in the right place! Introducing The Handy Squad, London Handyman service with a team of qualified, reliable, proficient and friendly electricians in Merton. 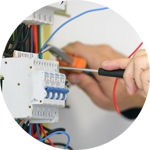 Our team is ready to get started on any of your electrical tasks. Anything will be dealt with both professionally and efficiently, ensuring jobs are completed to an exceptional standard. 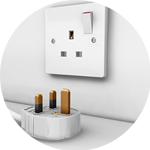 Lights, sockets and switches will be installed proficiently, and any unwanted devices can be removed or replaced with ease. 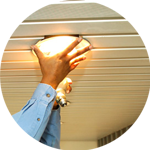 Your Merton electrician will also be able to help identify any issues with faulty or broken appliances. 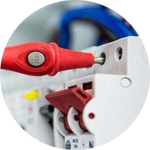 Using our specialised equipment, we can find the root of problems and tackle hazardous jobs, ensuring your household or work place is safe and secure. Merton is famous for hosting the Wimbledon Tennis Championships. The tournament is one of the four major titles within the sport and is watched by millions of people around the world. During the fortnight long event, the borough gets around 200,000 visitors. We don’t just stop with electrical work! 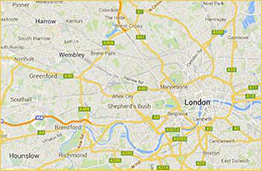 We also have plumbing in Merton, decorating in London and carpentry in London. Any job can be tackled by our expert team.